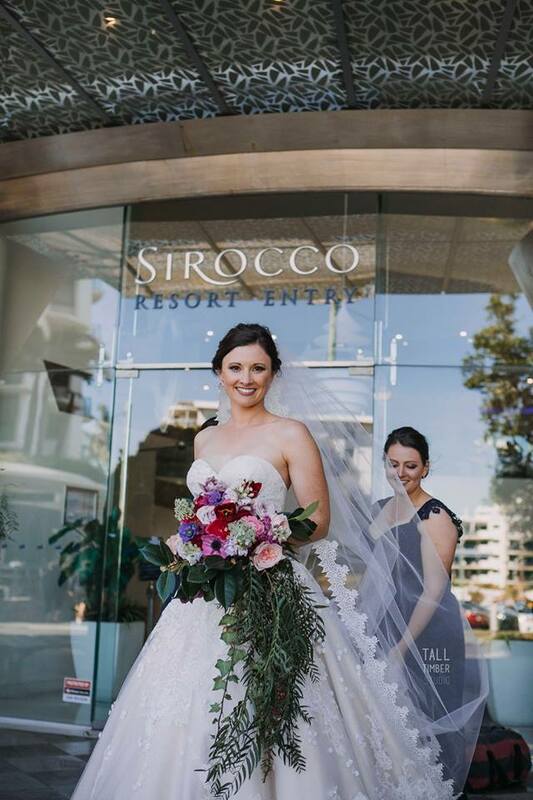 A makeup artist herself, Hayley knew exactly what she wanted for her bridal beauty - glam makeup involving rose gold shimmering eyes, lot's of lashes and a pretty pink lip to match the tones of her bridesmaids gowns and gorgeous flowers. For her hair she wanted volume and loose cascading curls to complement her veil and strapless gown. To create Hayley's makeup look we used Nars foundation to create a flawless full-coverage base, contoured with CoverFX highlight + contour kit, accentuated her beautiful natural brow shape with Anastasia Beverly Hills brow pomade and created a glamourous smokey eye with Stila eye palette and MAC copper pigment, finishing off with Model Rock strip lashes in 'Kitty'. For Hayley's bridesmaids Natasha created a softly swept up style and for makeup Karla created a soft smokey eye with brown tones from the Stila 'eyes are the window - spirit' palette and layered Modelrock individual lashes in 'double style' for glam. 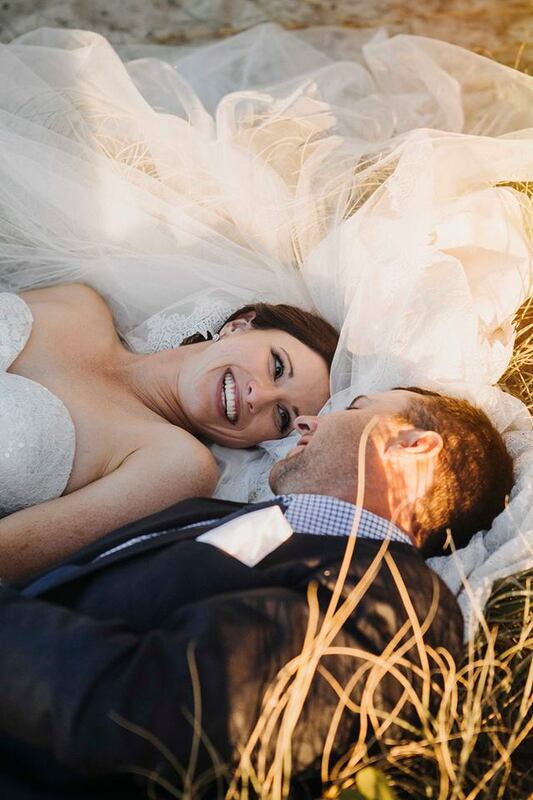 Wow these images from Alexandra and Matthew’s Maleny wedding are like something from a fairy tale! The one thing you can’t control on your wedding day is the weather and it certainly wasn’t a sunny warm day as Alexandra had hoped, but it didn’t dampen the mood and as you can see from these stunning images by Playback Studios there were big smiles all round for this beautiful couple and their friends and family who had travelled from far and wide to celebrate their special day at Maleny Retreat. For Hair Alexandra chose a soft side-swept style finished with fresh flowers, and for makeup a flawless glowy complexion with soft smokey eyes and lots of lashes finished with a natural lip, and lot’s of setting sprays to combat the weather! Having a hair and makeup trial can be a daunting process, particularly if you're not used to wearing a lot of makeup. Here are our tips to make sure you get the most out of your trial experience. Prepare. If you haven’t already it’s time to start a Pinterest board or save some of your fave looks on Instagram so that you have some inspiration to show your stylists. 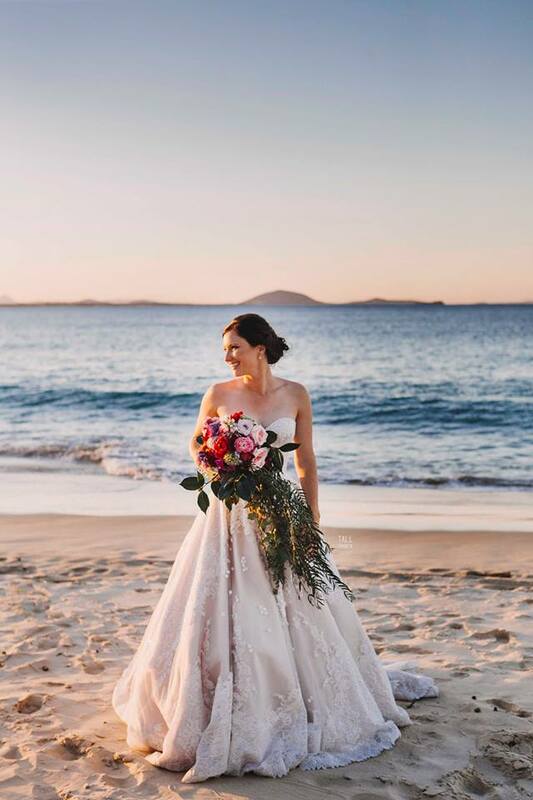 It also helps to have a photo of your dress on hand so your hair and makeup team get a feel for the complete look and can advise you on styles to complement. Try not to be too set on a particular style especially if it’s something you haven’t worn before such as a bold smokey eye or sleek upstyle as you may be disappointed if the style doesn’t suit you – this is what a trial is all about so be open to some suggestions from your stylists of what would complement your features. If you’re planning to wear a veil or hairpiece bring it along with you. It’s best to wash your hair the day or evening before your trial, freshly washed hair can be harder to style and will often not hold as well. 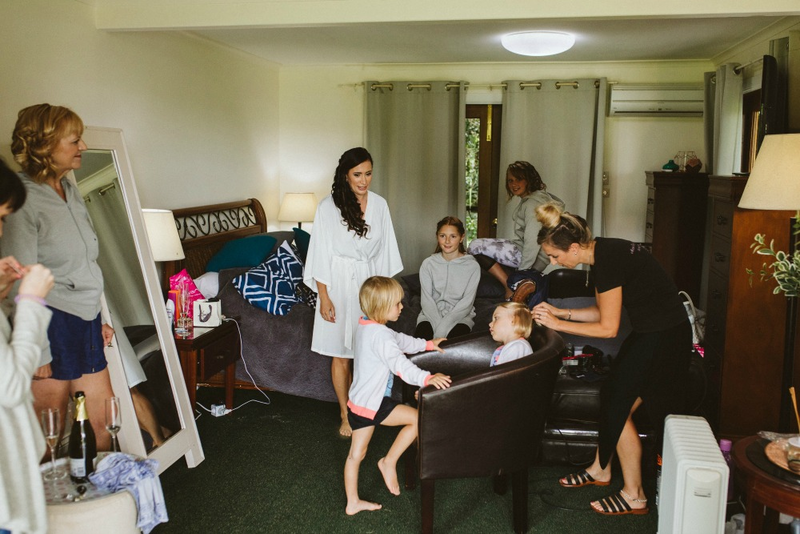 Come to your trial with makeup-free skin and if you can try to wear a light coloured top or dress so you get an idea of what your hair and makeup will look like against your wedding gown. Keep it small. If you’re planning to bring someone along with you to your trial we recommend keeping it to one person who’s opinion you trust, rather than bringing along a gathering of your bridesmaids, mum, mother-in-law-to-be or friends, etc who often want to share their opinions on your look and it can become quite overwhelming. Relax. Your trial is a chance to try out the styles you have chosen, try to relax and have fun and enjoy the process. If you’re feeling nervous ask your hair and makeup artists some questions about what’s worrying you, such as having your makeup too heavy, or your eye makeup too dark, and they will guide you through the process and help you put your mind at ease. 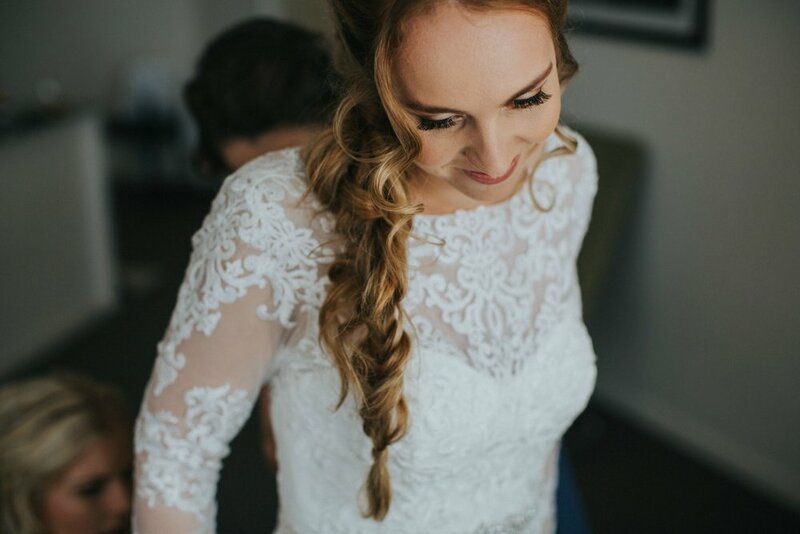 It’s important not to be shy, if there’s something you’re not sure about speak up and let your stylists know, your trial is the best chance to try out different looks so you leave happy and excited about your chosen bridal look. Wear it. If possible wear your hair and makeup look home after your trial, then as you wear it throughout the day you will have a chance to think about any changes you might like to make on the wedding day such as more volume with your hair or a bolder lip colour. Finalise the details. 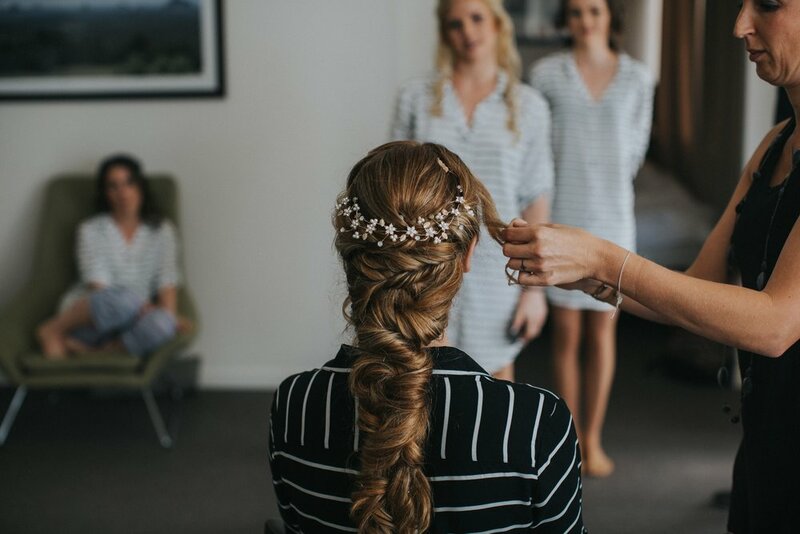 While at your trial have a chat to your stylists about timing for the wedding day, style ideas for your bridal party, what your photographers requirements are with regards to when you need to be ready by, and any other details such as the order for hair and makeup on the day or any other questions you may have. That way you will feel organised and confident leading up to the wedding and your stylists will know exactly when they need to arrive and be finished on the day.